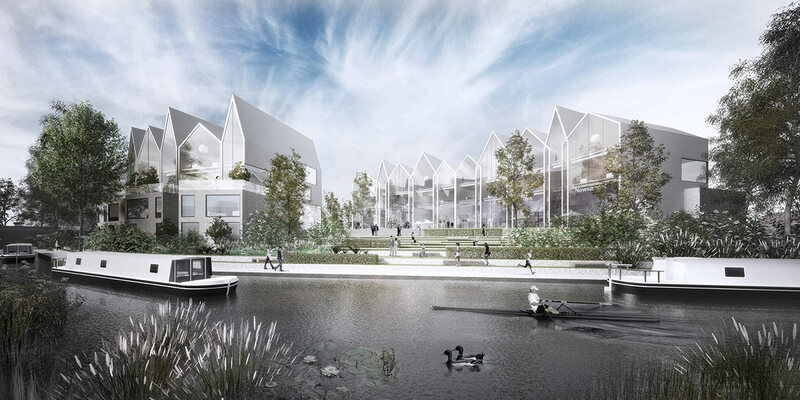 Soar Island, a semi-urban area is in need of an enhanced identity. Our proposal is about the harmony between nature and modern life. The challenge, to mediate between Leicester’s historic urban grain and the natural habitat of the island and its waterways. the waterways. A series of green bands create a continuous, natural experience that links to the city and offer public access to the water’s edge. The form of the building blocks takes a direct inspiration from the geometry of the island landscape. The proposal explores and experiments with 2 types of housing typology: the Victorian town-house and Industrial warehouse building. 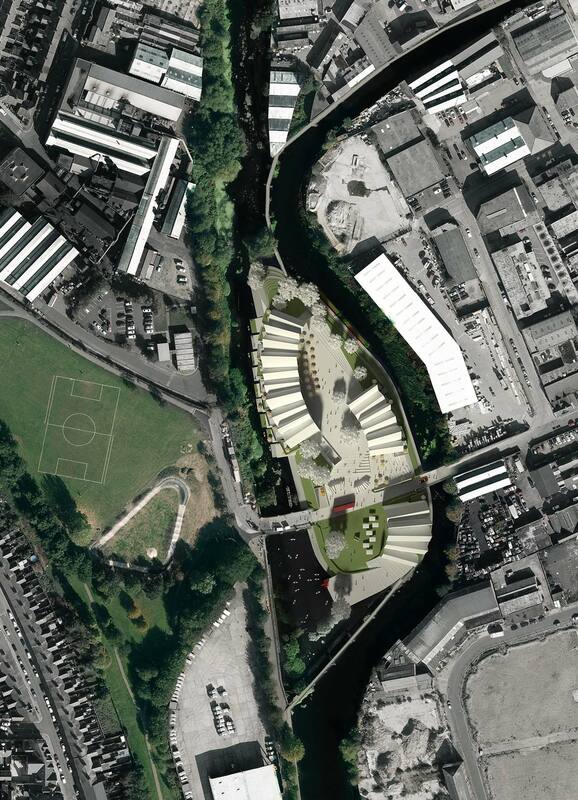 The mixeduse typology allows for between 90 and 150 homes which meet’s the Councils target for the development area. 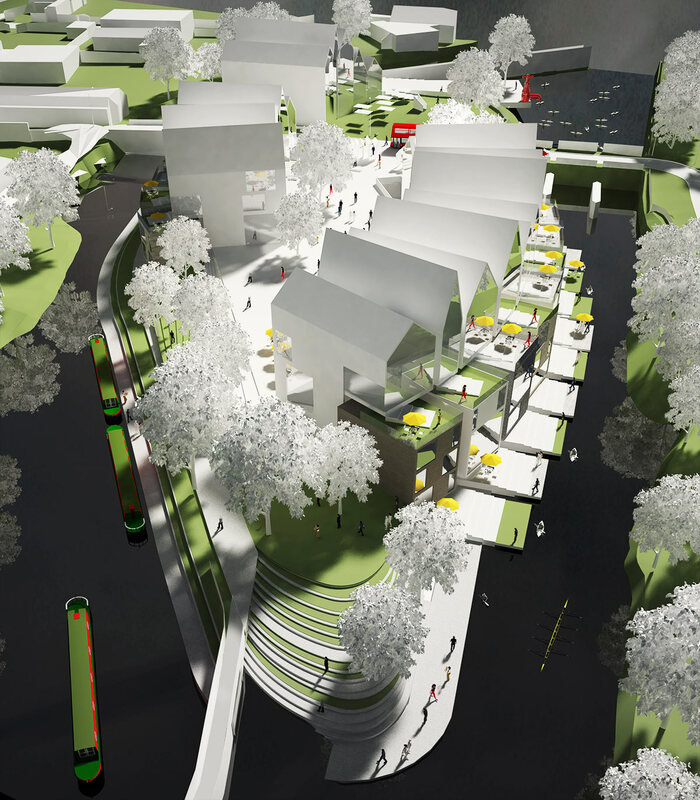 water’s edge to offer elevated gardens that overlook the Canal and River Soar. 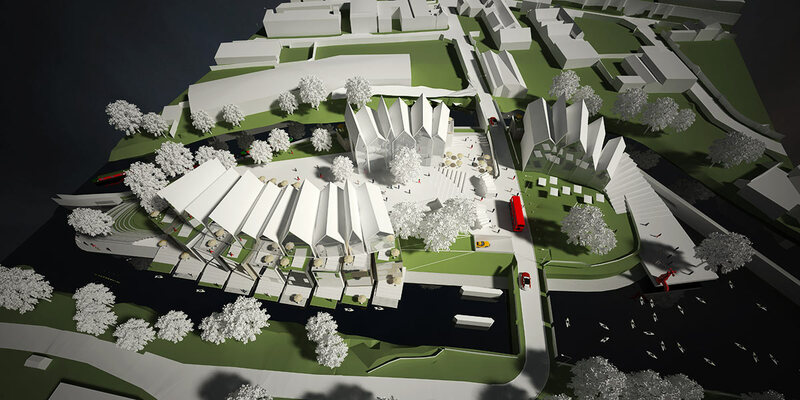 The proposal aims to source local materials as much as possible, the design lending itself well to the local materiality of the neighbouring architecture because it is typically brick. Handmade-brick walls and glass balconies are all references to the Leicester canal-side setting.